Just a reminder that you have a little over a week to enter the Whatever Goes Giveaway! 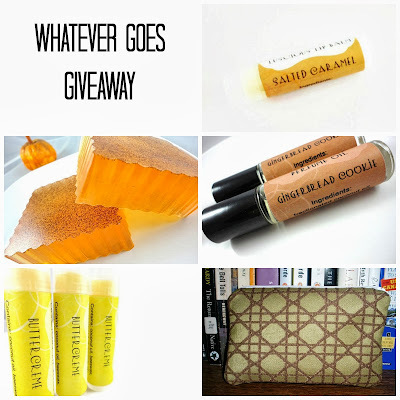 I'm giving away a bunch of awesome, yummy scented products from Symbolic Imports. She runs an awesome shop on Etsy and has great smelling things. There's currently over 200 items in her shop! If you can't wait to see if you win, you can buy any of these items directly from her. 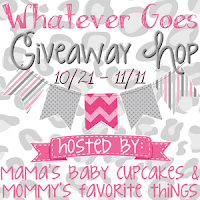 Click on the picture of my prize pack to be taken to the entry page and view the links for all the other blogs participating in the Whatever Goes Giveaway! But you better hurry! 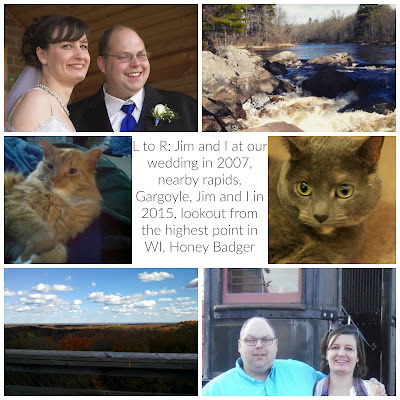 This giveaway ends November 11.